A new study by researchers at the University of California, Riverside reports on unfair and unsafe working conditions within the Inland warehouse industry. Riverside Employment Attorney Houman Fakhimi understands that these allegations include a range of issues, including sleep deprivation that led to injuries, lack of appropriate training and constant pressure to work faster. The study was recently published in the quarterly journal, Policy Matters. The report indicates that about half of the warehouses’ workers are migrants, who in general face a greater level of exploitation than other employees because of their citizenship status and the fact that many do not speak English. According to the California Employment Development Department, nearly 115,000 people were hired in 2010 by the warehouses, and the majority of workers are Latino, mostly working temporary positions that pay poorly and lack benefits. The study was conducted through a number of methods, including survey data, field research, secondary literature and a number of interviews with workers, managers and representatives of temporary employment service agencies. 1. Nearly half of all workers felt they had endured pressure from their superiors that led to illness or injury. They indicated that work schedules often meant they were forced to do their job with very little sleep. This is a well-known contributing cause to workplace injuries. 2. Less than a quarter of workers believed they had received proper training in order to do their job safely. Some said they were simply left to figure it out on their own. What’s more, the vast majority said they felt pressure from their bosses to complete their tasks more quickly. 3. Funding to the Occupational Health and Safety Administration has meant diminished resources for workers and a lack of safety-protocol oversight. The study also highlighted data from the U.S. Bureau of Labor Statistics. The agency reported that 4.5 percent of the nearly 2 million warehouse workers in the U.S. had suffered some sort of injury in 2009. About a quarter of a percent suffered some form of work-related illness. What that means is that warehouse work is more treacherous than other danger-prone fields, such as mining, logging or construction. By comparison, about 3 percent of construction workers were hurt in 2009, and warehouse workers were about four times more likely as a construction worker to get sick from his or her work environment. The study also indicates that more than half of the workers in 2011 either themselves got injured or sick from work or witnessed someone become ill or injured. Inadequate provisions for fire safety. 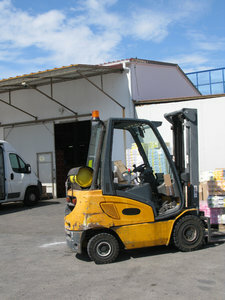 The lead researcher on the study team was quoted as saying that both federal and state officials need to more closely monitor the working conditions of warehouse industry employees, and that retailers should be held accountable when their factory workers are subjected to unfair and potentially unsafe treatment. If you need to speak to an employment attorney in Orange County about an issue of discrimination, sexual harassment, wage dispute, or a violation of worker’s rights, contact the Employment Law Team at (877) 529-4545. Serving Ontario, Riverside and the entire Los Angeles area.